If you are interested in learning to develop web applications using the Angular framework, read on for a great list of courses to check out. In the past, I have shared some of the best Angular tutorials and today, in this article, I am going to share some of the best Angular courses to learn modern day web development. If you don't know what Angular is and how it helps you to develop modern day web apps, let me give you a brief overview. Here is my collection of some of the best Angular courses to learn this awesome framework. In the past, I have shared a list of free Angular courses, which many of you liked, but many readers also wanted to see some of the best paid courses as well. That makes sense, as sometimes we don't mind paying a small price for something really good because we are investing a lot of our time into it already. That's the main reason I came up with this article. This post contains some of the best Angular courses on the market (all of which can be found at a very low price). Though the original price of these courses is around $150 to $200, I have bought them for just $9.99 per course in recent Udemy sales and you can do the same. It doesn't cost you more than a sandwich and a coffee at Starbucks. This is one of the best courses to learn Angular. It's comprehensive, interesting, and up-to-date, covering Angular 6, the latest version of the popular Angular framework. I am also a big fan of Max, the instructor of this course. He is very knowledgeable and has good teaching skills. The course not only tells you about theory but also shows you how to do stuff live. Having taken his React course (React 16: The Complete Guide) as well, I become the fan because of his style and content. As I said, the course is really comprehensive, packed with over 440 lectures and 27.5 hours of content. Which means you will learn everything you want to know about Angular as well creating a real-world project using the Angular framework. The course is also very well structured which means even if you are completely new to Angular, you will start following from the word go. Once you understand the problem Angular solves, you will be more inclined to learn about various Angular features which makes it so awesome, e.g. 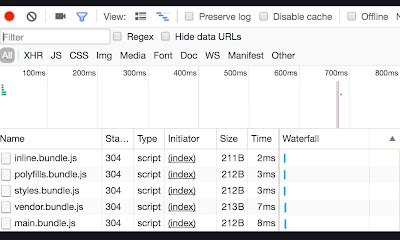 components, directives, data-binding, services, and dependency injection. Max provides in-depth coverage of all these essential concepts. Not only that, but you will also learn about debugging, routing, modules, single page applications, working NgRx, the Angular CLI, observables and new features of Angular 6. In short, this is the best course to learn Angular and worth of every penny you spend. The original cost, of course, is $199 but you can get it in just $9.99 on Udemy's flash sale, which they run more than a couple of times every month. As the name suggests, its a crash course on Angular for developers who are in rush. It's not as comprehensive as Max's course but still does a good job of explaining all the key features of the Angular framework. The course is also very popular and more than 45,000 students have already enrolled in this course. 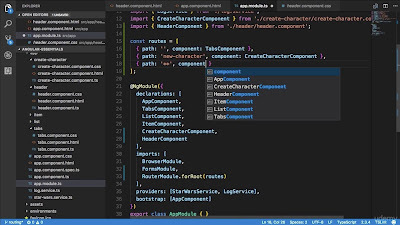 Once you have the development environment ready, you start building your first Angular app and learning about the structure of Angular projects. This learning-by-doing approach makes it super useful. After TypeScript, it's all Angular, starting with fundamental concepts, handling events, building reusable components, directives, template driver forms, reactive forms, routing and consuming HTTP services. In short, this is a perfect course to learn Angular for busy developers who cannot spend a month learning Angular. Even if you spend just one hour a day you can learn Angular in one week by following this course. This is another fantastic Angular course on Udemy and very similar to the first course in terms of content and coverage. It is also very comprehensive and packed with more than 30 hours of content organized in 376 lectures. This is actually an extension of the second course, as instructor Mosh Hamedani, only explains the essentials to make you productive in no time. In this course, he takes on Angular with complete coverage. Now, if you ask me the main difference between this course and Max's course is that it's the project-based development which this course offers. You will develop a real e-commerce app with Angular, Firebase, and Bootstrap 4 and learn many things which developers usually learn on the job, e.g. authentication and authorization, creating shopping carts, and other product management modules. If you love learning by doing then this is the best Angular course for you. The original cost of this Angular course is around $200 but it's currently available for just $9.99 USD in Udemy flash sales. 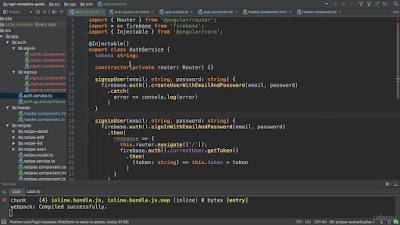 This is one more course on Angular you can take a look before buying any course. It's not as comprehensive as the first and third courses we discussed in this list, but that makes it more useful than others, especially if you are running out of time. The course starts from scratch explaining how to set up a development environment for Angular 5+ and download and start using the Angular CLI. The course then goes into Angular fundamentals and details and you learn essential Angular features like components, directives, templates, events, services, Routers, etc. You will also learn to develop a project for advanced client management systems with authentication and data storing capability by using Firebase's new FireStore platform. Overall a good course to learn Angular if you can connect with the instructor. I personally liked the first course because I find Max's explanations more useful than anyone else but you are free to try before you buy. This course is created for people who are in rush and want to learn Angular quickly or for someone who is familiar with Angular and wants to revisit all the important concepts. As I have said before, I am a big fan of Max, I really love his teaching skill, knowledge, and presentation. If you have taken any of his courses on React or AWS Serverless APIs, then you know that his courses are very comprehensive and full of content, purpose, and fun. You will learn everything about Angular in this course: TypeScript, the Angular CLI, a tool provided by the Angular team to create Angular projects, and Angular itself. Once you learn Angular by following this course you can always go deeper by joining the first course or following several other supplementary materials provided in this course. That's all about some of the best courses to learn the Angular framework for web development. Angular is a very useful skill to have in today's world and it will not only help you to land a job as a web developer but also help you to create your own website and application. You can quickly create a single page application to start your online ventures. Thanks for reading this article so far. 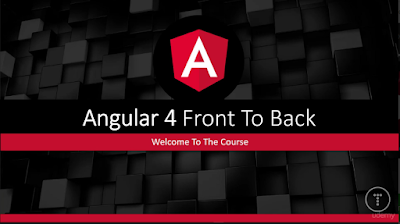 If you like these Angular courses then please share with your friends and colleagues. If you have any questions or feedback then please drop a note. P. S. - If you don't mind learning from free resources and looking for some better ones, then you can also check my list of free Angular courses to start your web dev journey.